For every gift of $25 or more you can also receive your own set. 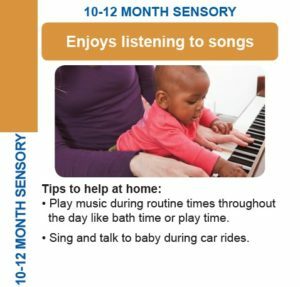 Milestones are supported by American Academy of Pediatrics (AAP) findings and activities are verified by licensed pediatric physical and occupational therapists and speech-language pathologists. 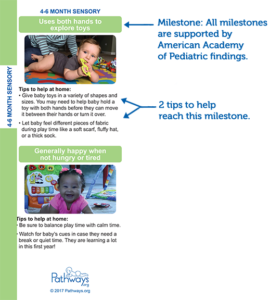 Get Baby's First Year Milestone Guide! 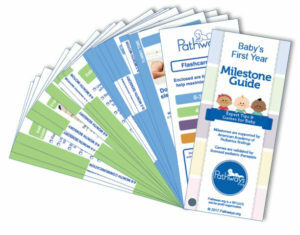 Don’t forget: Baby’s First Year Milestone Guide makes a great shower or new parent gift. The flashcards are color coded by age and separated by topic, making them easy to understand and use. As a 501(c)(3) non-profit, a tax-deductible $25 gift not only allows us to send you a copy of these flashcards, but also provides resources to families in need.